Life at sea is a world that is unknown to most and beautiful to everyone who is lucky enough to experience it. But along with the beauty, comes hardships and danger. 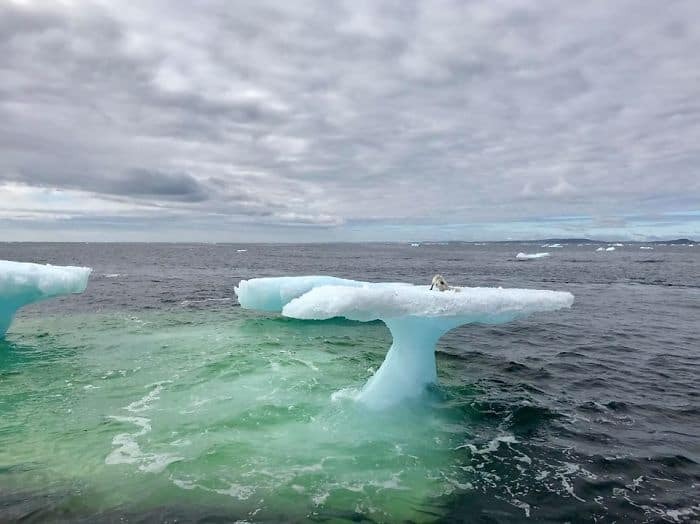 If it weren’t for a group of fishermen coming across a lone iceberg while out sailing one day, the creature perched atop of it would have faced a big problem. 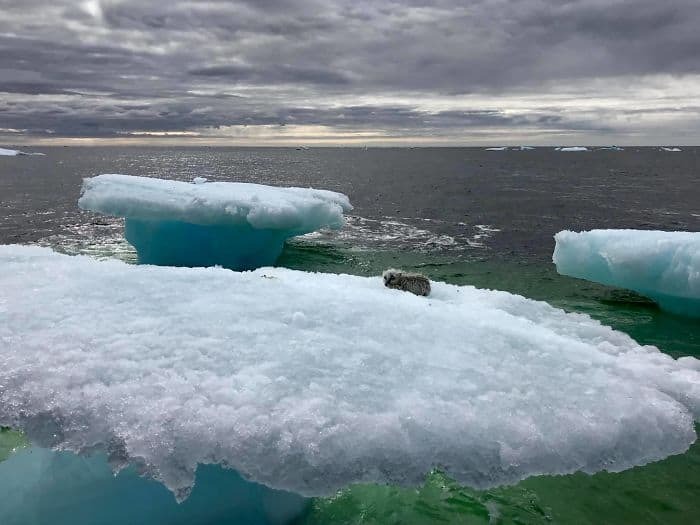 Mallory Harrigan, Cliff Russell and Allan Russell were fishing off the coast of Labrador, Canada, on their boat, The Northern Swan, when they came across something in the middle of the waters. 4 miles from shore, they could see something lying on top of a mushroom-shaped iceberg. Assuming that it was a baby seal, they got closer, but when they realized the truth they couldn’t believe their eyes. 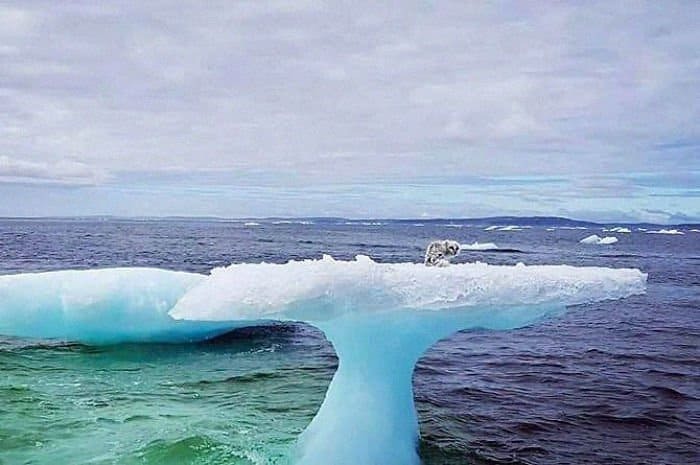 The iceberg was drifting out to sea but the animal sat on it wasn’t particularly equipped to swim home. On top of the iceberg was a starving, soaking Arctic Fox. The poor fox was under attack from circling seagulls and was trembling from fright. If you found yourself stranded on an iceberg, 4 miles away from land, you would probably count yourself a goner. Even if you were a strong swimmer, the icy waters would exhaust your body quickly. Not to mention as soon as you jumped in the water you would face the threat of predators swimming around below the surface. So this Arctic Fox didn’t stand much of a chance. It had probably got stuck out there looking for a meal. Cliff says he thinks he got out there to check out a bit of meat on the ice and it broke apart, sending him out to sea. The crew knew that there wasn’t much chance of the arctic fox surviving, so they rushed to help. Pulling their boat alongside the iceberg, they tried to coax the fox into their boat. Initially, the fox tried to run away, but there was nowhere for it to run to. The fishermen had to break the ice to catch the fox in a dipnet, while the frightened fox fought to get away. Eventually, the fox was too tired to put up a fight any longer and succumbed to the fishermen. 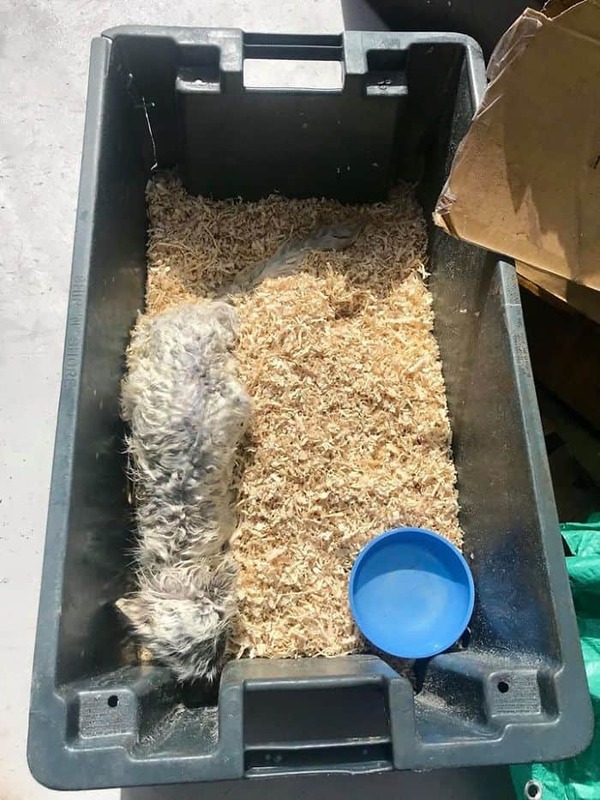 With the shivering animal aboard the boat, they made a makeshift bed for the cuddly creature and nursed him back to health. We scooped him up and he retreated to the corner. He was too weak to do anything when we brought him aboard, he slept most of the way! When we came to he was a bit nervous but once we fed him he was pretty calm. The frail animal wouldn’t eat for the first 5 or 6 hours. They tried to give it crackers and chips but he wouldn’t eat anything. However, when he woke up, Vienna sausages came to the rescue and he gobbled up the whole tin. 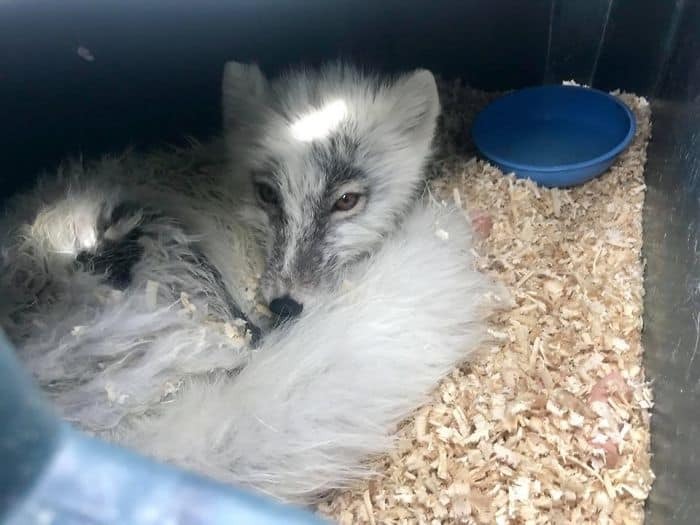 Once they were safely on dry land, the fishermen released the Arctic Fox back into the wild with a full belly and well rested. As the fox scampered off, he took one last look back at the humans who saved his life. He was clearly grateful to the crew who saved his life. Mallory says that she still sees him from time to time, exploring old dog houses in William’s Harbour. Thank goodness that the fishing crew was able to get to the fox in time to save the day. 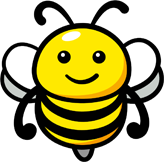 A simple act of kindness managed to save its life. 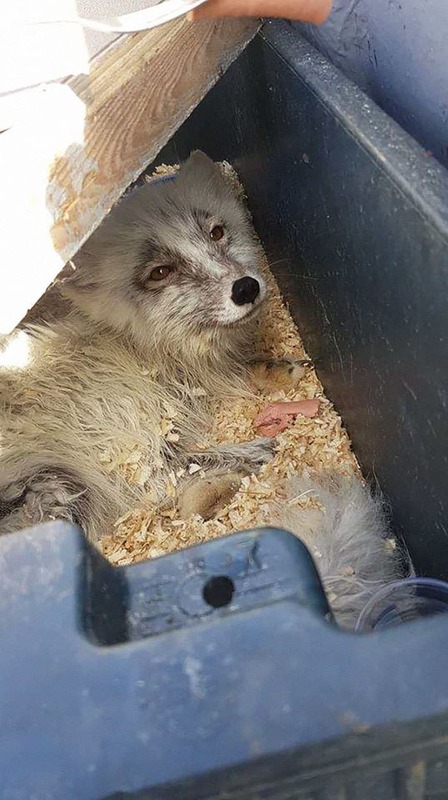 Watch the sweet moment where the Arctic Fox is released in the video below. Keep an eye out for the moment where he looks back to thank his rescuers.